Office acoustics and soundproofing for offices are a hot topic at the moment with excess noise in the workplace adding to stress related illnesses and hearing damage. Soundproofing in offices, conference rooms or boardrooms where concentration is key, is vital for successful business. Employers are fast realising that an unhappy workforce due to poor office acoustics can be very unproductive and can lead to employees taking more sick days which could have a seriously negative affect on business. The workforce are fast becoming intolerant to poor office acoustics, just like diners are in restaurants. 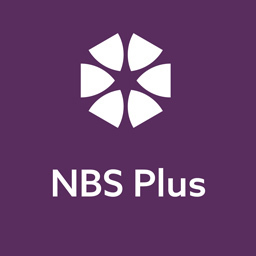 Clients can really judge a company based on their sales or customer services teams and if the member of staff you are speaking to on the phone is stressed or cannot hear you properly, this is probably not the first impression a company is trying to get across to their customers. Soundproofing for offices is now the way forward! 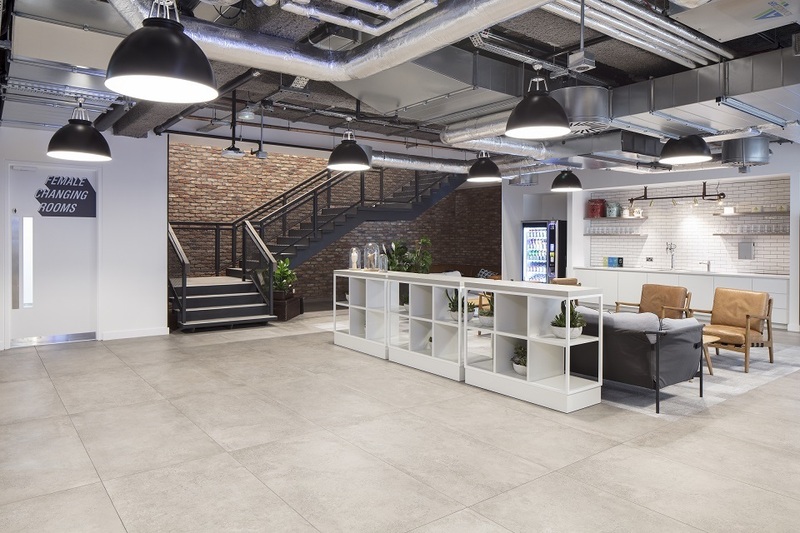 With design teams increasingly opting to remove old acoustic ceiling tile grids in favour of a more spacious, modern, full height look with services and soffits exposed, the options for replacing absorption are limited. Acoustic panels on walls, suspended baffles or rafts, can sometime look cluttered and like an after thought as they try to install enough absorptive surface area. Oscar Acoustics have the perfect soundproofing for offices solutions available. Oscar Acoustics has a range of 5 spray applied acoustic decorative finishes for office acoustics, from textured industrial chic acoustic spray, to the smoothest acoustic plaster on the market; there is a finish to suit every project and budget. 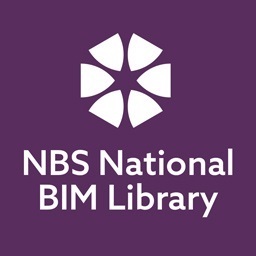 Whether you are wishing to refurbish old concrete, decorate metal profile or rib deck whilst adding the required office acoustics absorption or would like to apply onto plasterboard, our range of finishes will give you the perfect solution, reducing programme time with fast install times and negating the need for decoration. SonaSpray acoustic spray and acoustic plaster can be installed in offices, restaurants, receptions, designer homes, school classrooms and sports halls, swimming pools, exhibition areas, in fact it can be installed in any indoor space with a noise reverberation problem. Domes, vaults, corrugated, profiled, coffered and flat substrates are not a problem for our acoustic sprays and acoustic plasters. Our Oscar Acoustics product range includes economical, guaranteed acoustic solutions based upon fire rated, recycled, natural components. English Heritage & Irish Heritage have approved SonaSpray for noise reverberation control in listed buildings. 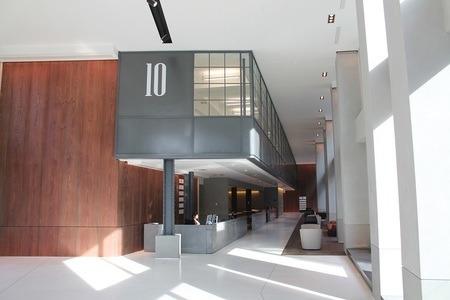 When designing this beautiful industrial chic office reception area in the heart of London, the architects required the very smoothest of acoustic finishes to realise the minimal design intent with superb office acoustics. 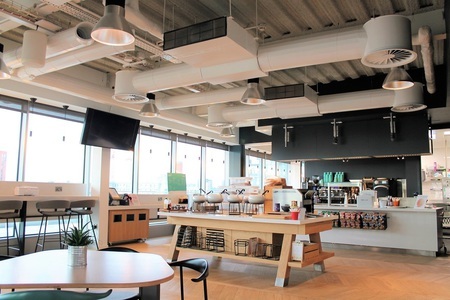 Oscar Elite acoustic plaster was expertly applied onto an MF plasterboard ceiling by Oscar Acoustics' in-house installation team to enable the incorporation of access hatches, ventillation grills and recess lighting. 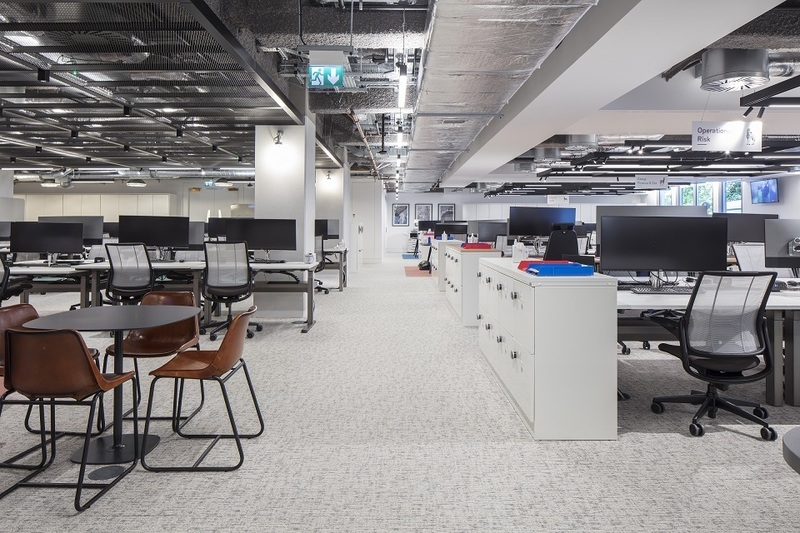 International Specialist Banking and Asset Management Group offices in the City of London received an office refurbishment in 2018. 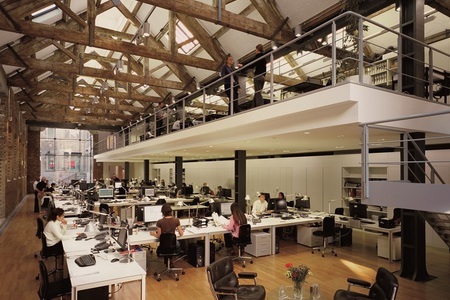 The fit out & refurbishment experts, 'We Are BW' were considering how to preserve the existing rib deck ceilings with beams throughout whilst solving the current office acoustics issues. 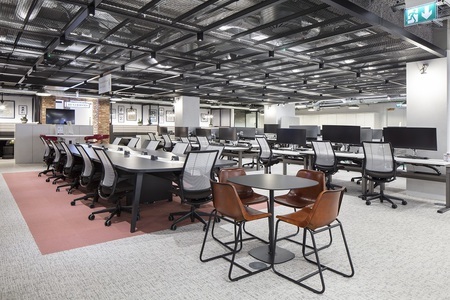 Interiors completed for law firm Freshfields Bruckhaus Deringer's offices at One New Bailey in Manchester. So far, the firm has placed 450 employees at its Global Centre at One New Bailey and the 64,000 sq ft premises near Manchester's Spinningfields district is the companies first long-term property outside London within the UK. Office acoustics are a hot topic at the moment within the design and build industry as more and more designers and architects recognise that good acoustics really are essential to creativity and productivity within the workplace. Working in a uncomfortably noisy space for long periods of time can lead to unnecessary stress and work related frustrations. Trying to concentrate or have a conversation with someone over the phone can feel near on impossible when you can barely hear yourself think in such a sonic battleground. For more information on Office Acoustics click here to contact us.